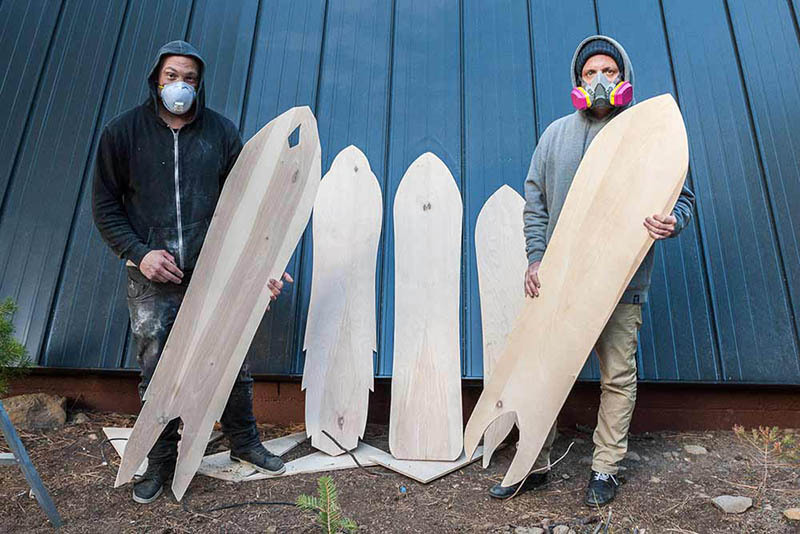 Mike Parillo and Corey Smith stand with freshly cut out boards. 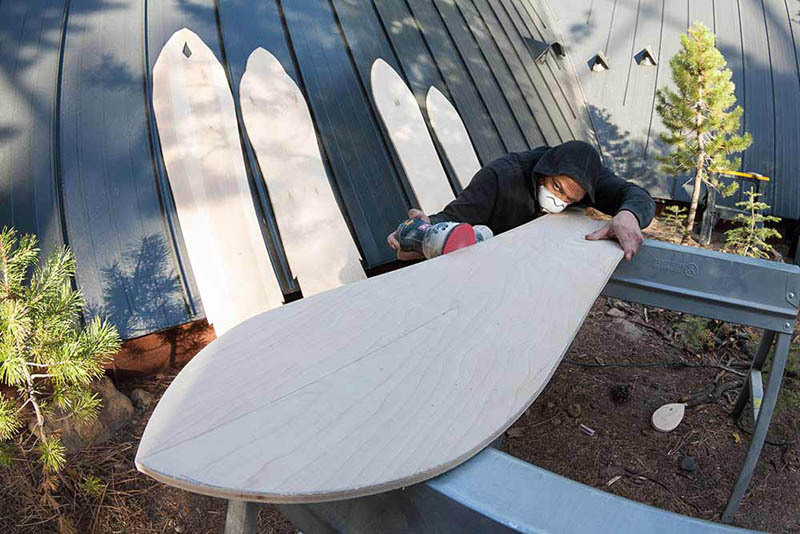 Mike Parillo sands the perfect side into a deck. 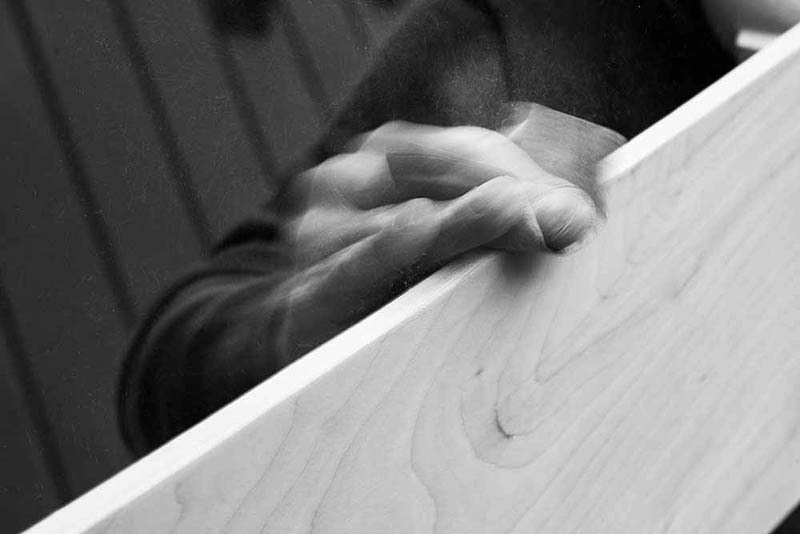 The hands of Mike Parillo at work. 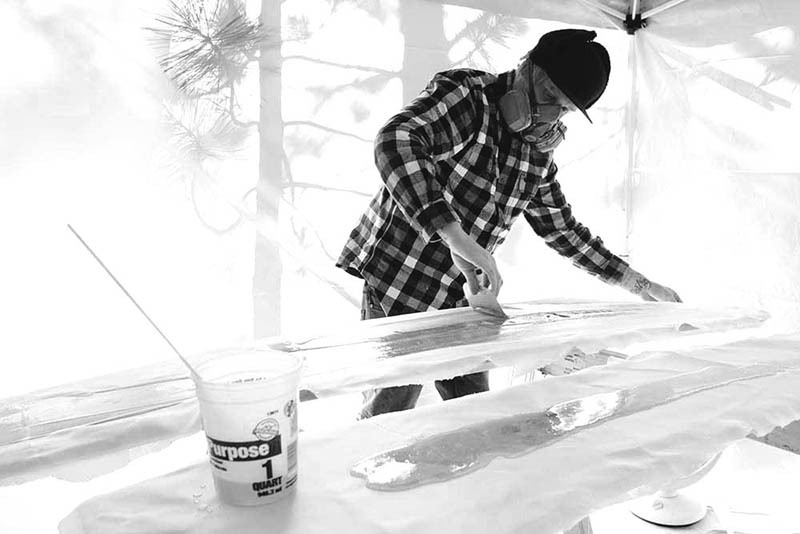 Corey Smith spreads an even layer of fiberglass on some snowboards.